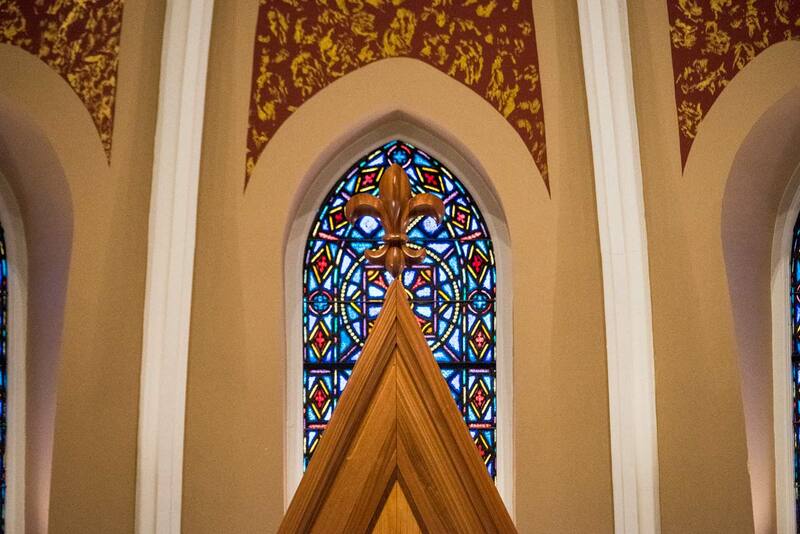 Perhaps the most striking feature of St. Mary Cathedral are its beautiful windows. Stained glass windows were first introduced in the gothic Cathedrals of the middle ages. 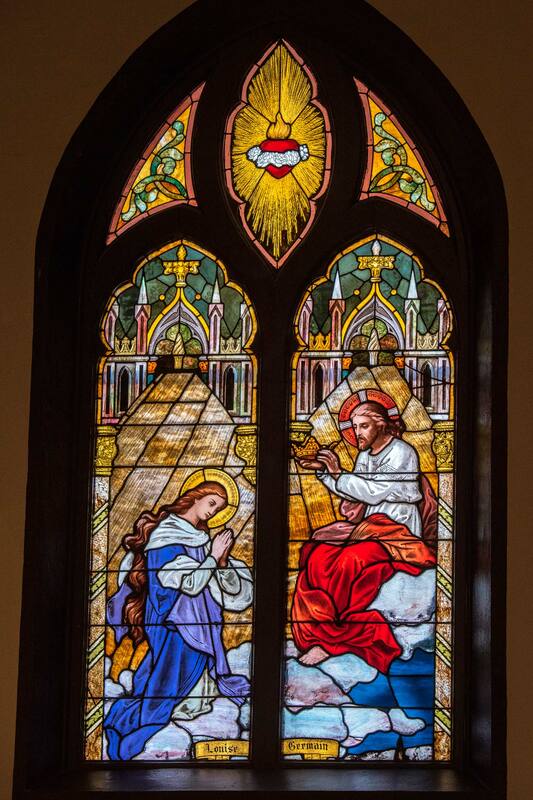 Because most of the people were uneducated and unable to read, many of the stories from scripture were depicted in the stained glass windows (A picture is worth a thousand words). 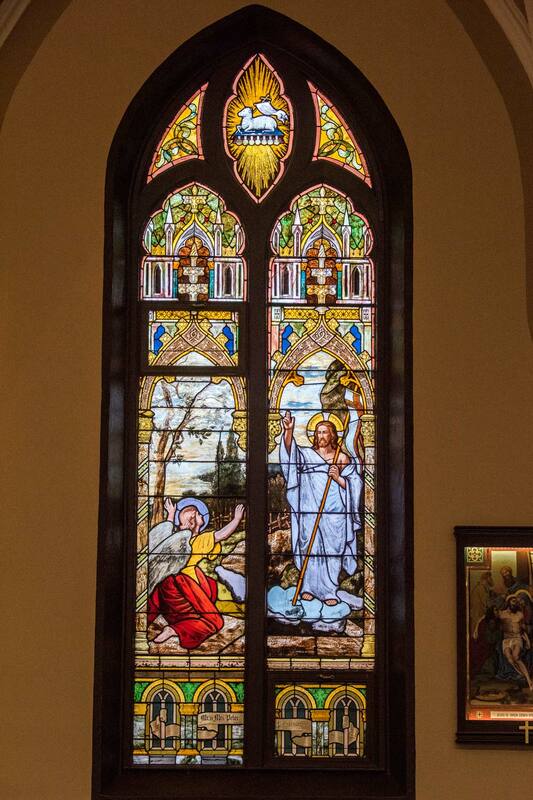 The windows of St. Mary’s depicted many of the important events in the life of Christ. 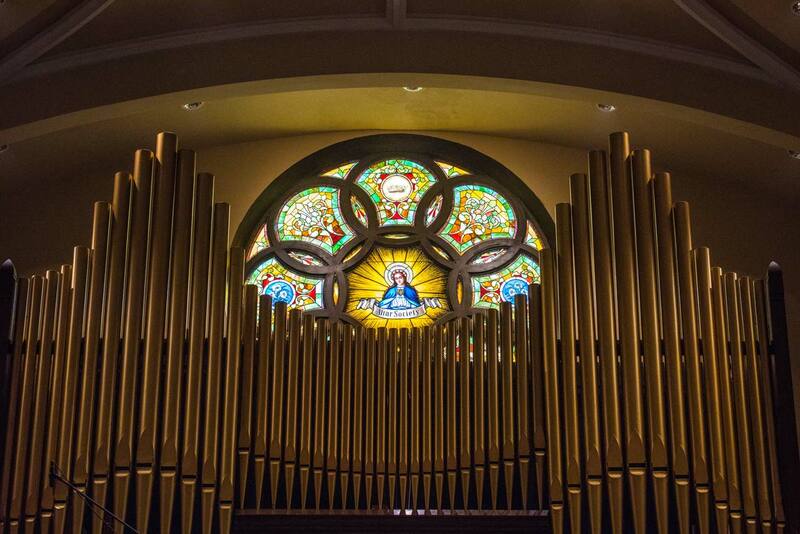 (Note that Mary plays a prominent role in many of these windows. 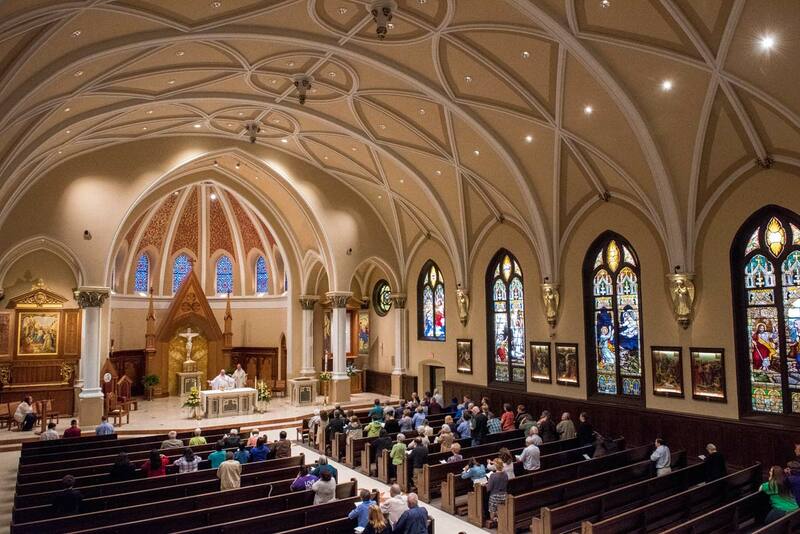 After all, the church was dedicated to St. Mary of the Assumption). The windows are unique in their attention to detail and the large size of each of the principle figures. 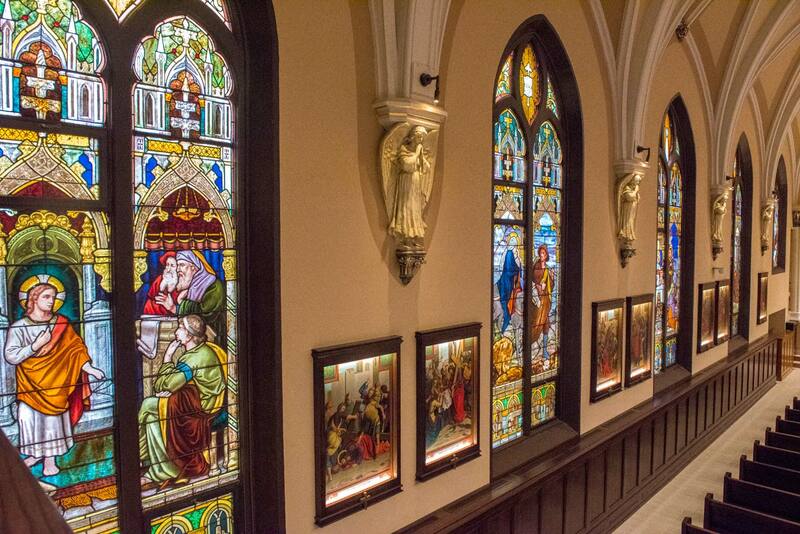 Each of these windows is hand painted stained glass, from the Van Griechten Company of Columbus, Ohio – installed from 1903-08. 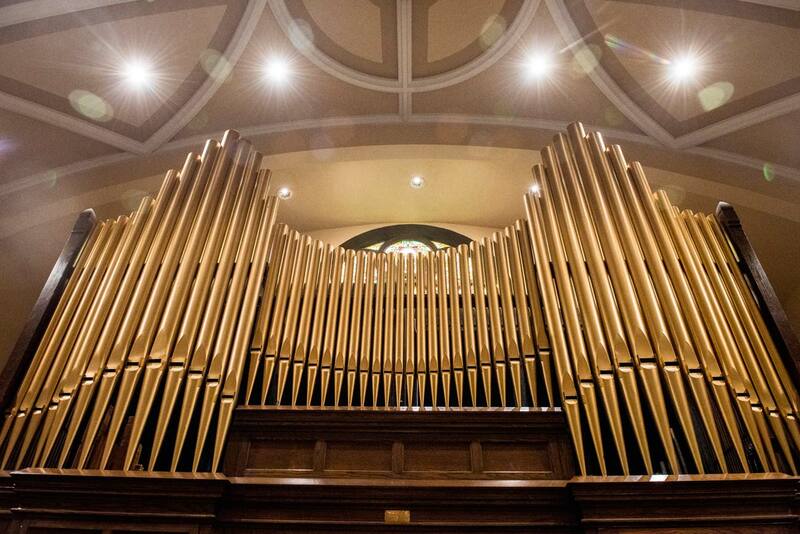 Thanks to the renovation these windows were restored to their original brightness and beauty. 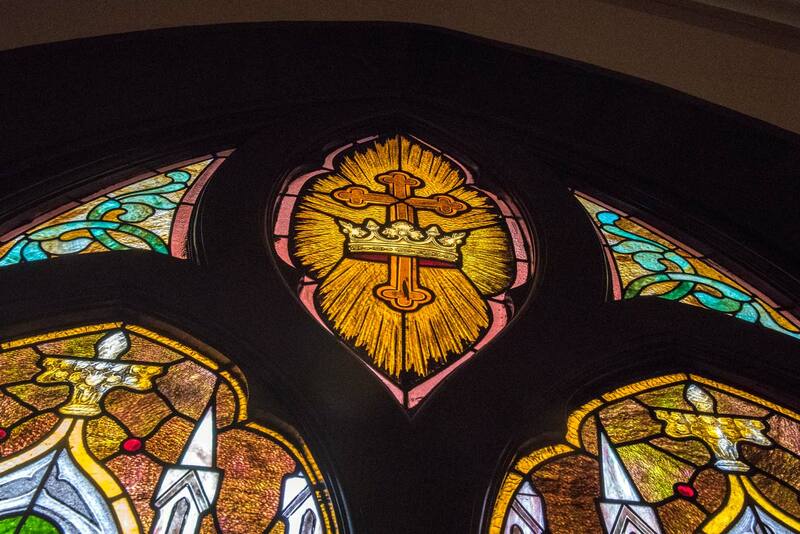 You can get details on each window of the Cathedral at the Michigan Stained Glass Census.